I design and knit unique tea cosies. 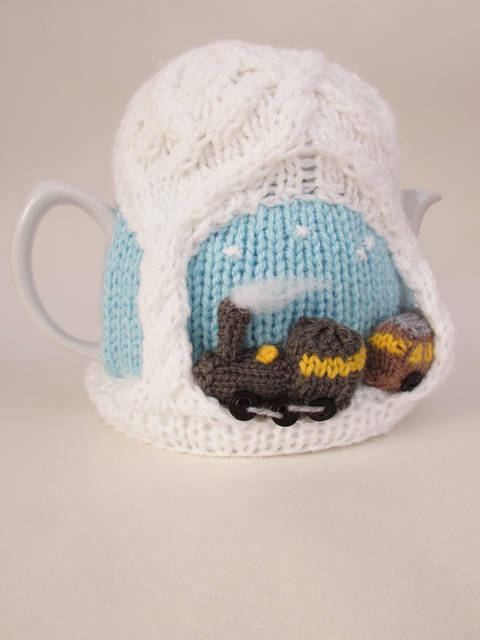 I really love designing exciting and unusual tea cosies, its great fun and people don’t mind having an over the top tea cosy. Plus they are a great talking point at tea time and make for brilliant knitting projects. I have had a couple of patterns printed in the Simply Knitting Magazine, which is very exciting.